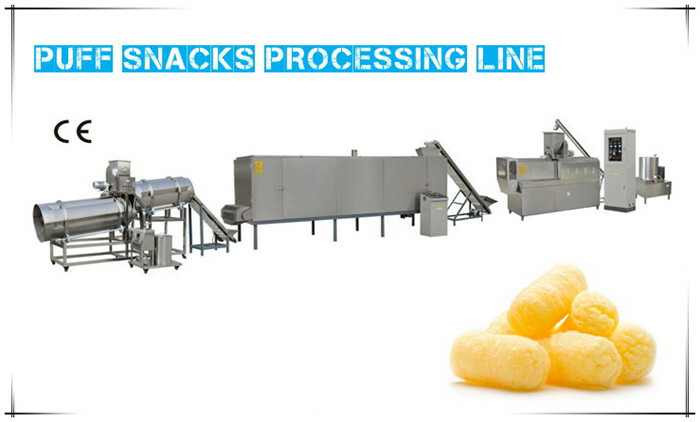 Puff Snacks Processing Line can process various cereal based snacks - direct expanded or filled - with a wide variety of recipes and shapes. Extruded Snacks Processing Line leverages Dragon's unique twin-screw extrusion technology and are highly flexible and stable. It can be quickly and economically modified to manufacture innovative new products such as filled products, chips or bread snacks, with simple-to-install additional equipment. 6. Cost-effective: HTST (High Temperature Short Time) intensified transformation process generating savings in raw materials, water and energy; very hygienic processing and easy maintenance; compact design with reduced floor space requirements. Advanced automation designed by our experts ensures precise process control, resulting in consistent and repeatable quality.